Do you run a business? Are you a C level executive? You likely have talents beyond those related to your job. In my role as a primary care physician, I have found that those with high profile careers often do a bang up job in other areas of their lives. When I speak with people in leadership roles and ask how they find time to exercise, most often the answer is that they fit it in before work or at the office. I challenge those of you in a position of leadership to reach out and help others in your organization improve their health. If you create a culture that emphasizes good nutrition and exercise in your business, and if you act as a role model, you’ll inspire others to realize their health goals as well. Obesity has become an epidemic. With approximately 1/3 of Americans categorized as obese and another 1/3 overweight, we definitely need leadership. 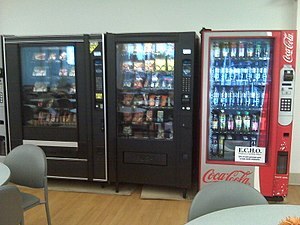 Look around the common area, kitchen, break room or cafeteria at your office. Are there vending machines with chips, candy, pastries? Is soda readily available? Do work parties for the younger crowd involve happy hours with greasy food and beer? It doesn’t need to be that way. Set aside time in the mid afternoon every day and encourage people to take a 10 – 15 minute break to walk, walk the stairs, stretch or do a few yoga poses. If you have the space and can afford it, keep some basic gym equipment in your office for everyone to use. Have healthy foods available. People are vulnerable to temptation, so why have a vending area with junk food? Nix the Cheetos and other nutritionally bankrupt snacks. Why offer soda when research shows it is highly correlated with obesity? Yep, even diet soda has been implicated in weight gain and other health problems. As an executive, you can help people succeed by providing healthy choices. Leadership comes with responsibility. Extend your role beyond that in your job description. You don’t need to be “big brother” to help others. I’m not suggesting a ban on bringing junk food to the office, I’m merely suggesting that those who have authority use it to ensure healthy options are available to employees. You can also help people succeed simply by making your healthy choices visible to others. If people see that you ride your bike to the office and snack on fresh fruit, they may be inspired to do the same. It may be interesting to look at employee productivity, sick days, engagement and health care costs before and after instituting some changes and creating your own culture of health. I hope you’ll like what you see! Thanks for listening. I wish you (and your employees!) the best of health.